Astra S-Nesting is intended for optimizing true shape nesting. 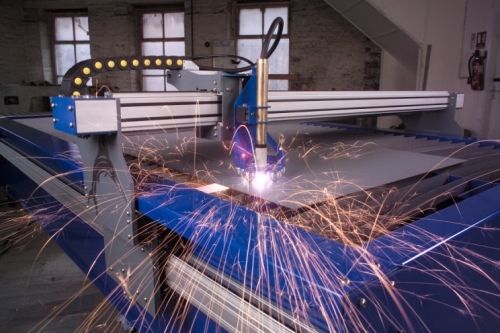 The software can be used for cutting parts of metal, lumber and other sheet materials. Astra S-Nesting - True shape nesting software. To accomplish this, Astra S-Nesting offers the following capabilities: import parts from the DXF files, automatically nest true shape parts, quickly and precisely edit nesting layouts, automatic calculate and edit cutting tool path, print report and output NC-data to CNC cutting machine. Parts are imported from DXF files. A number of properties are specified for each part: material, thickness, quantity and drawing number. All these properties can be modified after importing. 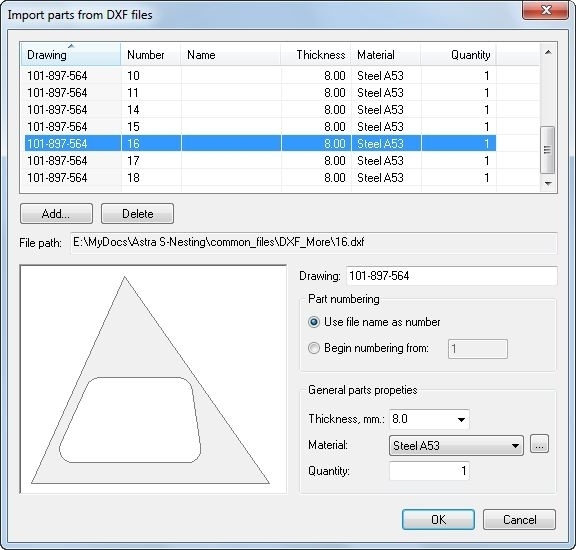 An order can contain parts of various thicknesses and materials - the software will automatically sort parts into nesting groups. The Astra S-Nesting can be run from command line, import data automatically, generate the cutting layout of the order and export the results. 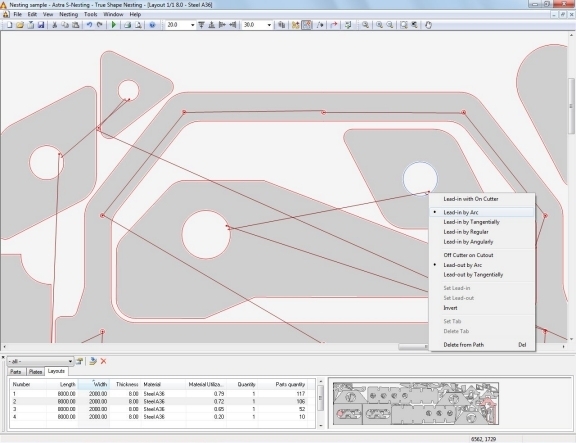 Quick automatic true shape nesting allows the software to perform calculations with a high material usage ratio. If necessary, layouts can be edited manually. A number of tools are available for this purpose: you can move parts in set increments, to the nearest limit stop and freely move them with your mouse; rotate parts, set part edges in parallel; scale layouts; undo and redo commands and much more. The cutting program allows you to automatically calculate and manually edit cutting tool path (for laser cutter, plasma cutter etc. 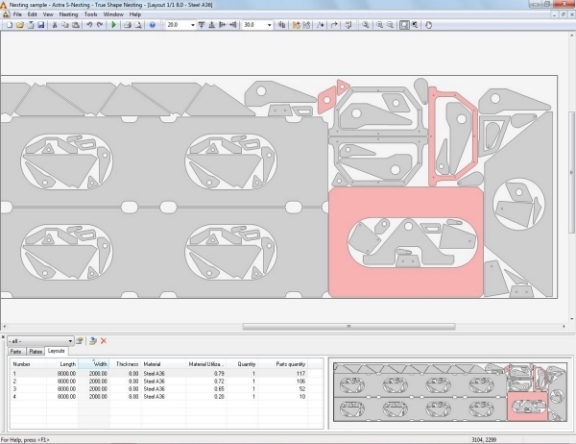 ), customize postprocessor and output NC-data in ISO (G-codes) and ESSI formats for CNC cutting machines.